In a mountain resort in the Alps, Hitler built his 'Eagle's Nest' from which he conceived and directed the war. Skiing resorts were turned into training centres for mountain warfare, plans were made to invade Switzerland, and concentration camps were seeded. But the Alps were also cradles of resistance -- home to US and British spies and double agents, along with French, Italian and Yugoslavian allies. There were tales of courage, heroism, self-sacrifice and armed struggle. 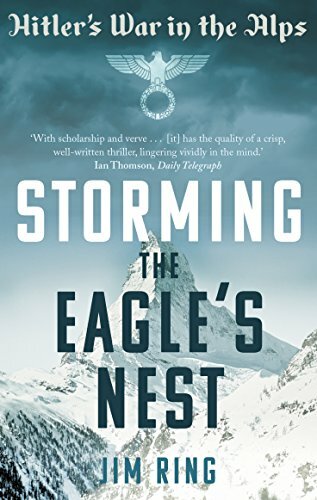 Storming the Eagle's Nest brings together these stories of the definitive account of this crucial arena of the Second World War, in which Europe's exclusive playground became a battlefield.